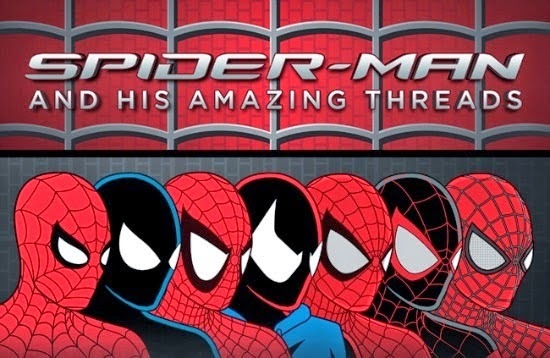 Even though Spider-Man has an iconic costume, he's had a variety of costumes over the years. This infographic from Halloween Costumes shows some of the major costume changes the Web-Head has had on the page and the silver screen. Which is your favorite costume? Did they miss any of your favorites? Take away the wing-webbing and it's not that much different. A few changes, but not like some of the superhero costumes. I was reading the "Big Time" series last night where Peter Parker designs a "stealth" Spidey suit that's black with trim that turns various colors. Black Cat describes it as looking like something from a Tron movie, which is pretty accurate. I don't know how long that costume lasted. Underarm webbing!!! Seemed to disappear between one issue and the next sometimes. Although shredding it with bullets was a good way to show those near-misses. I want to see the Kirby one now! I'm partial to the Todd McFarlane, but I like his Batman, and of course Spawn. I like 2014 design best. Yeah, I have mixed feelings about the webbing. On the one hand, it's unique and a good replacement for a cape, which can be cheesy. On the other hand, the underarm webbing doesn't make a whole lot of sense, so I can see why they avoid it. That's true. Spiderman's costume is one of those you can't mess with too much. I like the retro look and the eyes as well. I like the original the best, but kudos to who can design a smashing good new original costume.